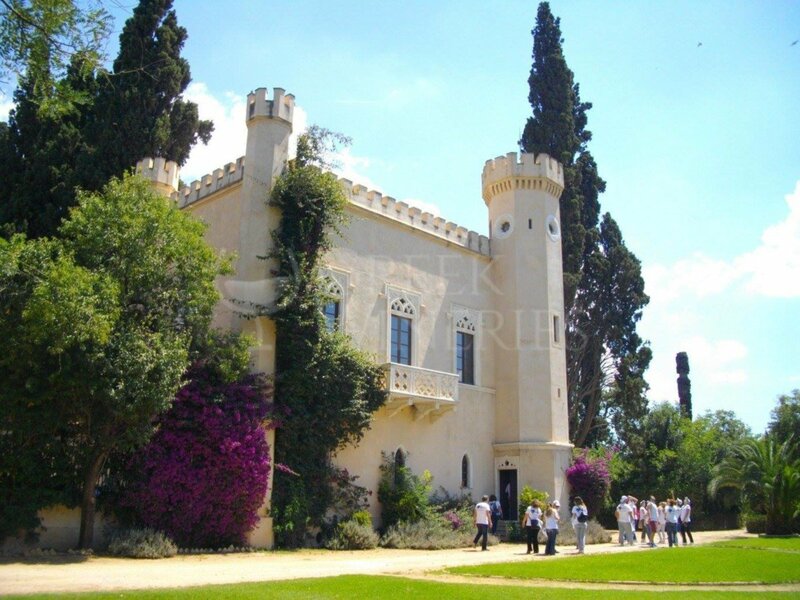 Queen’s Tower Estate Queen Amalia (of Greece) once wanted to create a rural facility model in order to test new production methods for the modernization of Greek agriculture. The vines were one of the first crops of the estate. 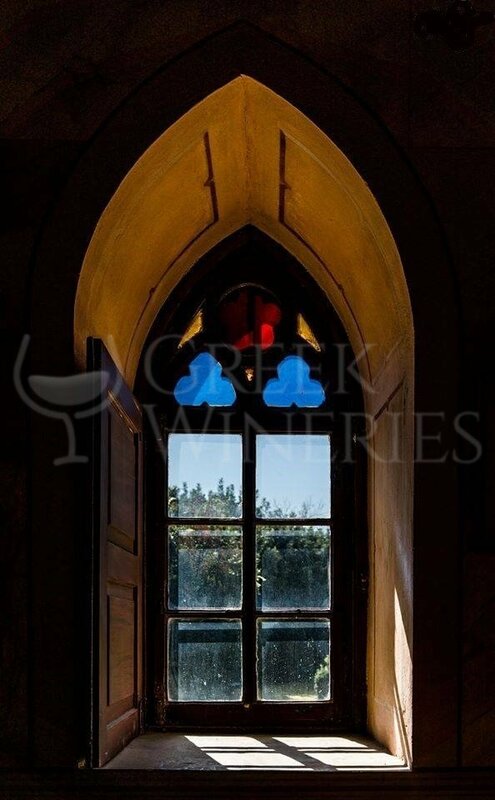 The first vineyard of 18 Hectares, inaugurated in August 1854, was planted by experienced winegrowers from Megara. Today the cultivation of the 4 Hectares vineyard has an organic label. The growing grape varieties are Rhoditis, Malagasy Sauvignon Blanc, Cabernet Sauvignon Merlot and Chardonnay. The wines produced are: Ilion, Malagouzia, Eptalofos white & red. In the estate the visitor may find horses, hens and honeybees. The nature at its best! 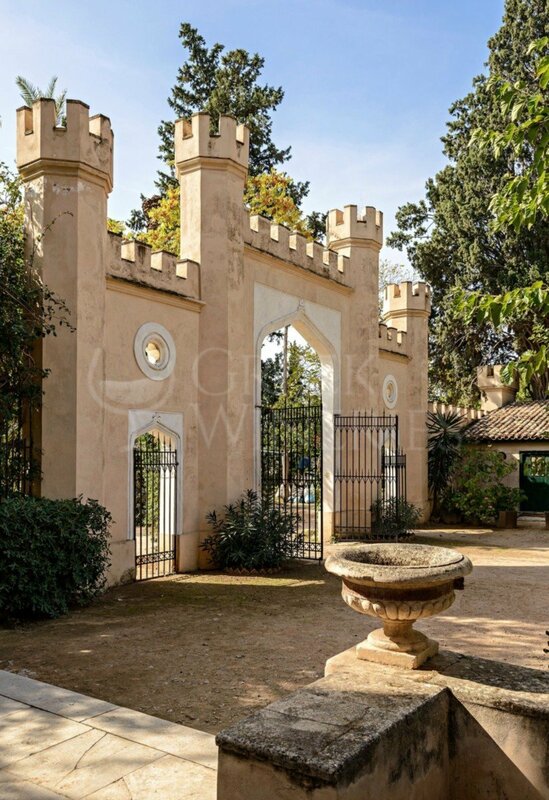 In the estate of Pyrgos, besides olives and pistachios, one can find almonds, mulberries, pines and cypresses, while aromatic plants are being continuously sold at the tower's shop. The tour in Queen’s Tower Estate is a unique experience. 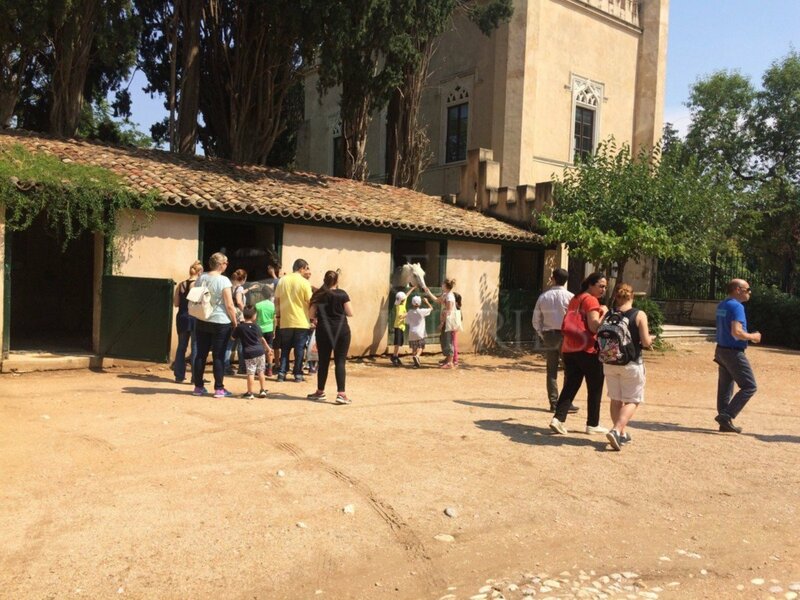 The tour lasts for 2 and a half hours, starting with the reception in the covered areas of the estate and continuing with the visit to Pyrgos (both internal and external). 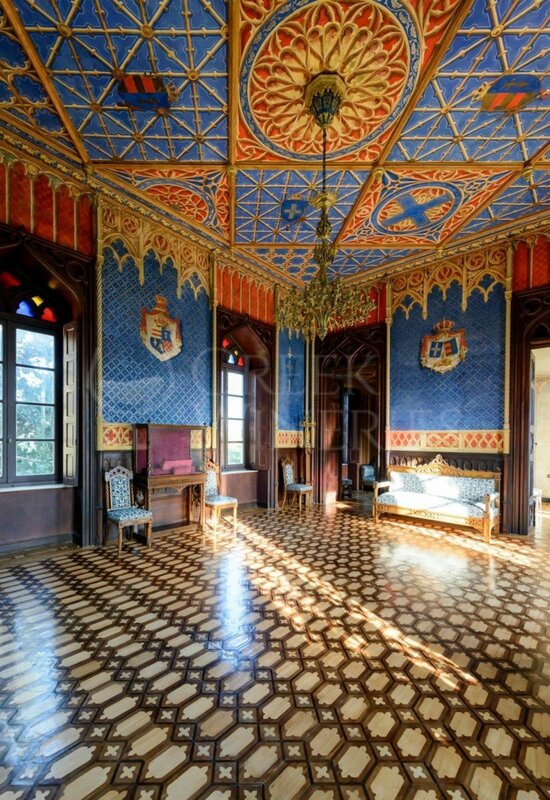 For the tour on the second floor of the Tower you should always get rid of your shoes, so as to help protecting the excellent parquet-marquetry. The estate also includes a tour in the organic vineyard, the horse stables, the gardens of the estate, as well as a visit to the Winery. 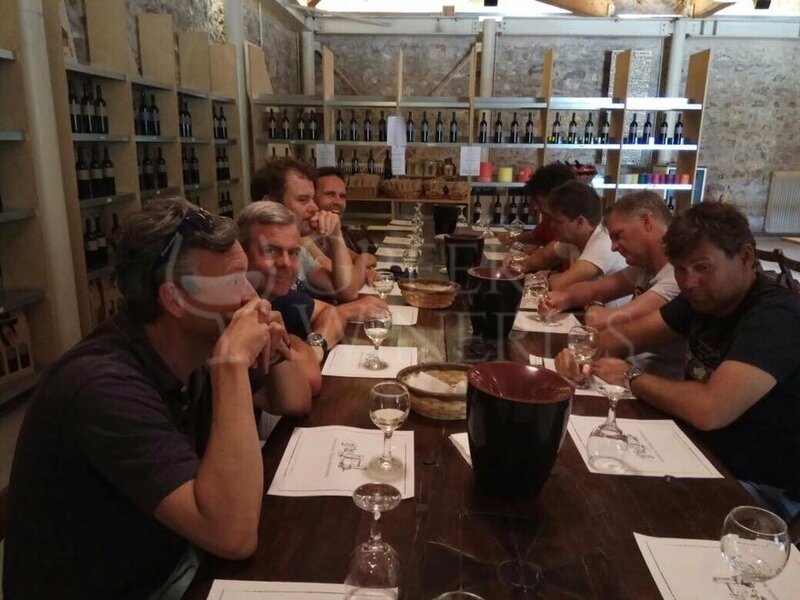 At the end of the tour, a tasting of the excellent wines accompanied by herbs and cheese will make this visit unforgettable. For any information with regards to your visit to the Tower and the tour program, please contact: Mrs. Eleni Athanasiadis at +30 210 2313 607.